In a day of much confusion concerning worship, God has spoken clearly. 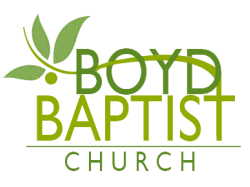 Worship is not about a style of music or a specific instrument, although we use different styles of songs and a variety of instruments at Boyd. Worship is all about an individual surrendering their heart to the obedience of the Holy Spirit in recognition of God’s authority in their lives. Anything short of that is simply singing. But once an individual does surrender, God always puts a song in their heart, even if it is “a joyful noise.” The Boyd worship ministry exists to call people to surrender their lives to the love and authority of Jesus Christ and express their heartfelt praise in joyful noise and glorious praise! Come help us magnify His name!! !